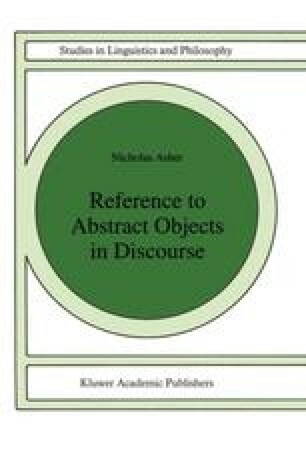 In this chapter I apply the theory of discourse structure elaborated in the previous two chapters to concept anaphora. The semantics and discourse effects of parallelism and contrast as well as other rhetorical relations will play an important role in the analysis of concept anaphora. Discourse parallelism and contrast are natural extensions of syntactic intra-sentential constraints that many researchers have claimed guide anaphoric processes like VP ellipsis.1 The discourse constraints, however, are needed to handle examples of VP ellipsis that other theories cannot analyze.